Carla moved to New Hampshire as part of the Free State Project and to be with her beloved, Shem. 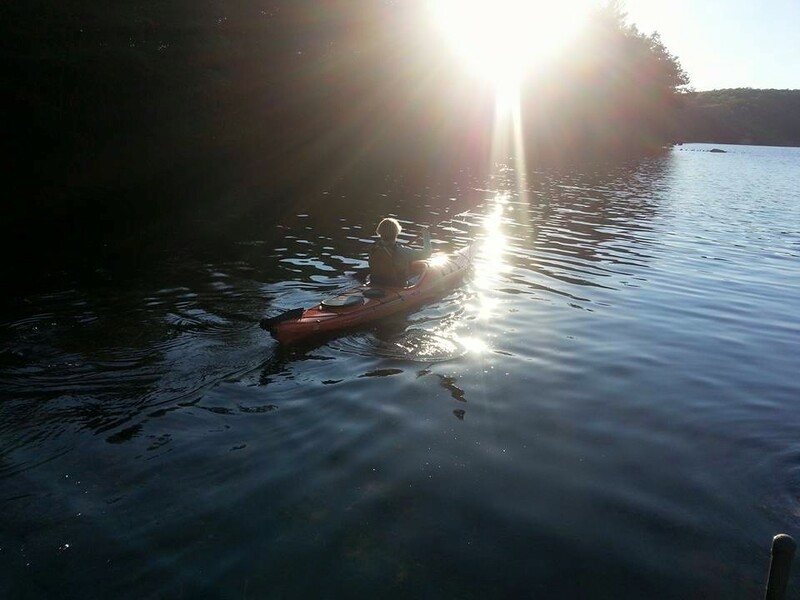 She fell in love with not only the area, but also Granite Staters' warm welcome. "I adore the way most folks I have met are so warm and friendly. I notice the difference and miss it when returning to Boston for a visit." Carla, who is studying to be a health coach through the Functional Diagnostic Nutrition course, recently decided to buy a home after renting for a few years. She found a waterfront home that was just that she was looking for in Unity, on Crescent Lake. "I wasn’t particular about a specific town; looking for a special house was the priority. I believe the name suits me because it’s how I would like to see humans live, in unity." Carla loves all that Unity has to offer to help her get acclimated and feel a part of the community, from the lake's association that offers group activities to a homeschool-friendly CSA which offers potlucks, food for sale that is locally grown, and art classes, among other things. As she was searching for her house, Carla came across a quote that really spoke to her. As she explains, "Thomas Moore writes about, '… concrete decisions of everyday life that day by day either support or disturb the soul.' I believe that deciding to live at Panta rhei ('Everything flows' - a name which I found in one of Mr. Moore’s books), very much supports my soul. It’s interesting that the author hosts workshops all over the world, talking about the importance of one's surroundings, and he chose to make NH his home." 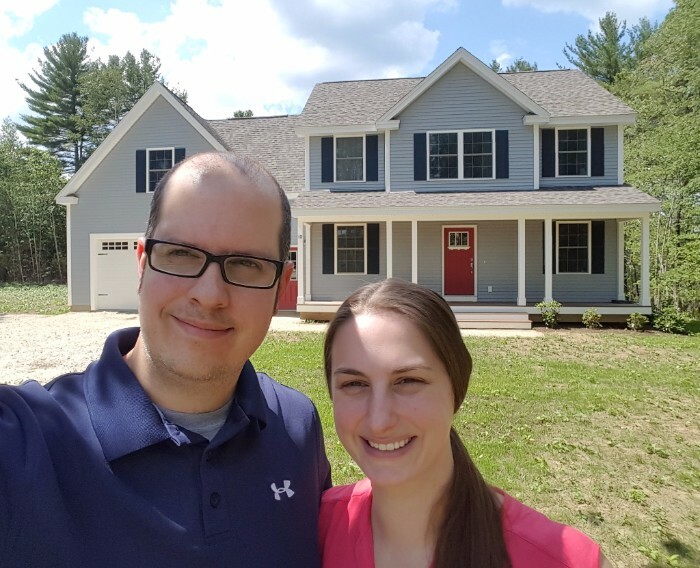 Chris & Cait decided to move to the Free State from Connecticut, and couldn't be happier with their decision to make a fresh start. Chris works in human resources, and was able to find a job just over the border in Massachusetts. Cait was lucky enough to keep her job as an auditor and work remotely. 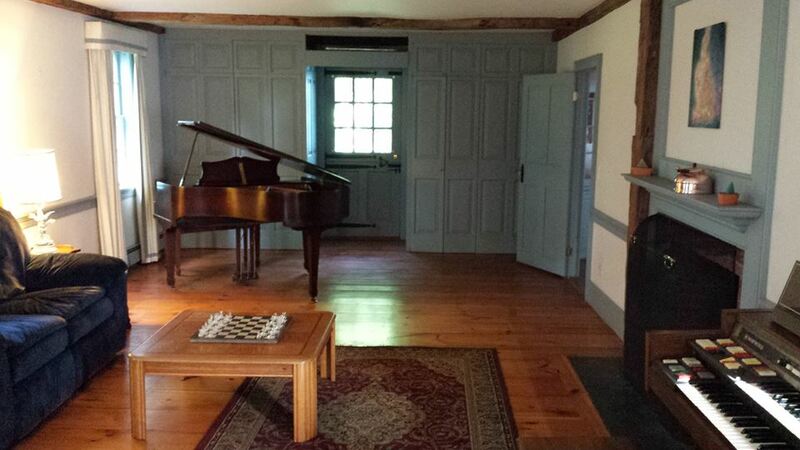 Upon their initial move to New Hampshire, the pair rented an apartment in Hudson. After looking at several homes to buy, they decided to build their future home in Derry. They chose Derry because of its convenient location and the rural feel of the homesite they selected. While their new construction home has plenty of small projects for them to complete, they are enjoying the chance to build equity and, naturally, have an excuse to buy a tractor! Chris & Cait are looking forward to getting involved in the community and making some local friends. Enjoy your new home, Chris & Cait! Having been a Free State Project signer, Séamas Ó Scalaidhe has been very involved in the mission of the Free State Project. 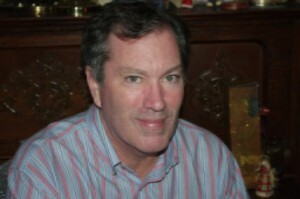 In 2011, he became Treasurer of the FSP and led the effort to obtain 501(c)(3) status for the organization which, despite considerable resistance from the IRS, was ultimately successful in 2014. In addition to this amazing activism, Séamas is also a long term financial donor to the FSP and made a $25K matching grant in 2015 that helped reach the goal of 20,000 participants. But after encountering 40 tax increases in eight years and dealing with counterproductive gun control measures in Maryland, Séamas and his girlfriend, Tiina, decided it was time to move to New Hampshire..
Séamas and Tiina decided to focus their search on the Lakes Region, so they could enjoy the abundant outdoor recreational opportunities year-round. They spent a long time looking online at houses in New Hampshire and deciding what was important to them. They even created a weighted spreadsheet model of the factors that mattered the most. Ultimately, the couple chose to purchase a home in Wolfeboro. 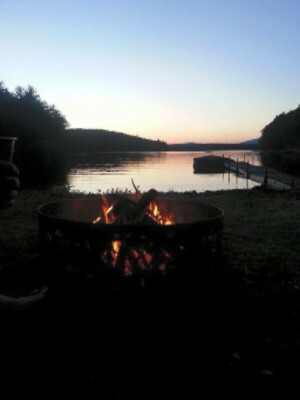 "We chose the town because of the natural beauty and recreational opportunities of the Lakes Region, along with the reasonable taxes of Wolfeboro. 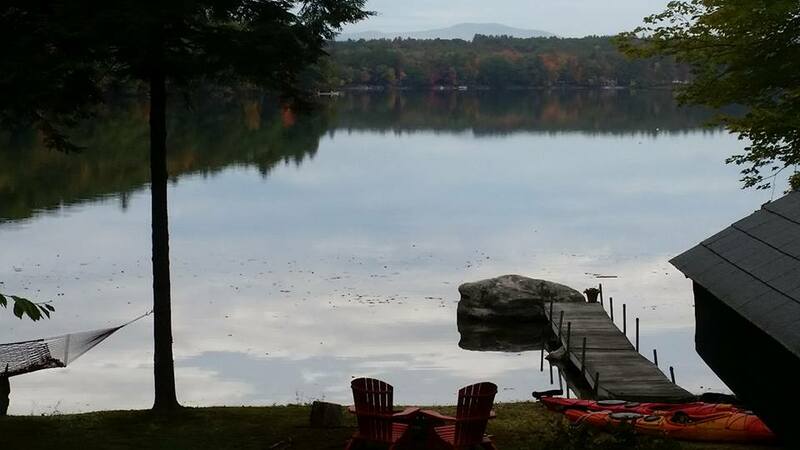 A great advantage of the Lakes Region is that property not directly on the waterfront tends to be affordable and the tax rates in many towns are considerably lower than other parts of NH." One expected surprise about the area in which they purchased a home was the proximity to the downtown area. "We didn’t expect how much we enjoy being three miles from the downtown. In addition to the convenience of being able to pick up groceries without a long drive, Wolfeboro has a brewery, a craft beer store that holds biannual beer festivals, a topnotch outdoor store catering to skiers, hikers and bicyclists, and a wide variety of dining options for a town of its size. As well as being world class in quality, all of these things are in easy walking distance of each other, which is nice for a pair of former urbanites." Now that they're in New Hampshire, they have come to fall in love with the recreational opportunities, as well as the people. "Our favorite thing about New Hampshire is the people, who in the majority are friendly and honest while also having a live and let live attitude." Welcome home, Séamas and Tiina! 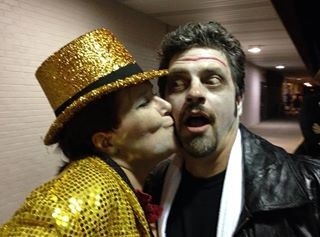 Angela and Emmett Harris had no idea that a trip to PorcFest in 2011 would be a life-changing event, but it was just that. They were familiar with the Free State Project prior to attending, but PorcFest gave them a glimpse of how a free community could operate. By the end of their second day at PorcFest, they decided to make the move to New Hampshire. Angela and Emmett moved to the Free State a few years ago and landed in Center Barnstead, where they've come to love the town's mix of woodlands, lakes, farms, and rolling hillsides. From the view to their backyard, they've enjoyed many wildlife visitors, including owls, songbirds, chipmunks, deer, porcupine, and even black bear. The most appealing aspect of living in New Hampshire? "There is an independent outlook among the people of New Hampshire that has historic roots tracing back to colonial times. It's a live-and-let-live attitude that's refreshing. There's also a tendency to resist government excesses, which helps keep the relative tax burden low and it also minimizes the post-911 accelerated erosion of our civil liberties." As lead organizers for Liberty Forum 2016, the Harrises are dedicated to ensuring Liberty in Our Lifetime actually occurs. "We became 'Doers' when, on our first visit to PorcFest in 2011, we found ourselves stuffing welcome bags with a group of outgoing volunteers before the festival started. We were so impressed with the dedication and passion of the Free Staters we met, and the sense of commitment and community that they espoused, that we enthusiastically joined forces to help bring about Liberty in Our Lifetime. With Liberty Forum, we are very excited to be hosting a stellar lineup including Nadine Strossen of the ACLU, Lyn Ulbricht, mother of accused Silk Road founder Ross Ulbricht, and Federal whistleblower, Edward Snowden. Our fantastic team of dedicated “Doer” volunteers has made this promise to be the most spectacular and historic Liberty Forum yet." The Harris family is expanding this year, with the addition of a daughter-in-law and a grandchild. Angela & Emmett are hoping to continue their recruiting efforts, and bring the rest of their family to New Hampshire to make the Free State their home, as well. After hearing about the Free State Project in 2011, Katie made the move to New Hampshire in early 2013. Her first two years were spent living in rural Fitzwilliam, where she operated the Stone Farm bed and breakfast. Her new home is located within walking distance of Fitzwilliam's town center, and the bed and breakfast has been renamed Stone Manor. With three bedrooms to choose from, Stone Manor is capable of sleeping ten guests—the Snowden room sleeps four, Manning sleeps four, and DeCleyre sleeps two. 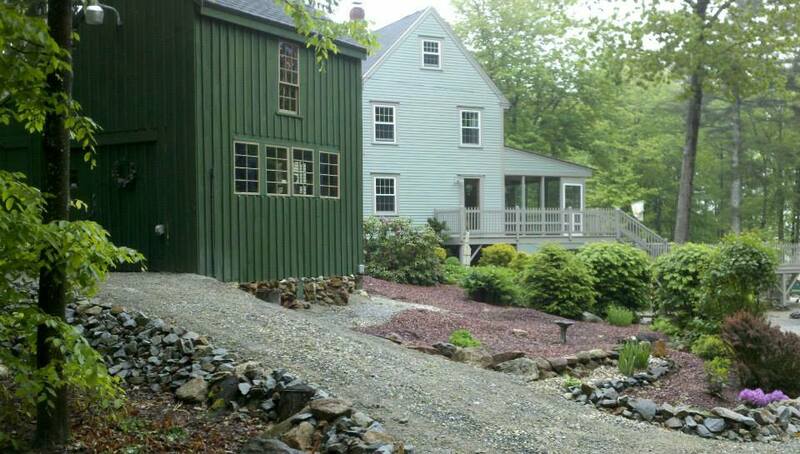 Stone Manor is roomy, comfortable, warm, includes a free breakfast and is a short drive to downtown Keene, Pisgah State Park and Mt. Monadnock. Payment options also include Bitcoin. Those interested in staying at the bed and breakfast can find out more on Stone Manor's Facebook page. Katie is also a Certified Professional Midwife. Her credentials, which include seven years of formal education and having attended over 500 births, can be found on the website for the New Hampshire Midwives Association.